(January 17, 2019, LITTLE ROCK, ARK.) 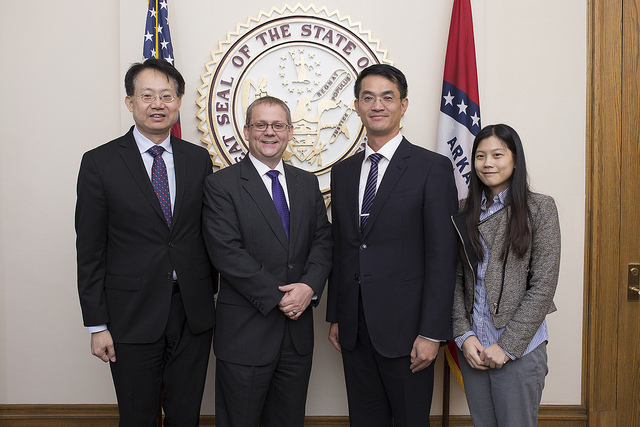 – On Wednesday, Arkansas Secretary of State John Thurston, who was sworn into office earlier this week, welcomed a delegation from the Taipei Economic and Cultural Office (TECO) in Houston. They were visiting Little Rock to attend several inaugural events. Secretary Thurston and Director General Peter C.Y. Chen enjoyed a friendly meeting and discussed a number of issues. Director Chen touted Taiwan as a country that values economic freedom and intellectual property rights and seeks to grow business relationships with American companies. "The delegation from Taiwan wanted to introduce themselves and continue the dialogue between our government and theirs, in hopes of building a relationship of cooperation, friendship, and economic prosperity," said Thurston. "Technology research and development, education, trade, and business development are a few of the areas where joint collaboration is possible. We look forward to continuing the conversation." 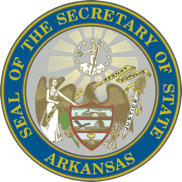 TECO Houston is the representative office of the government of Taiwan responsible for foreign relations with Arkansas. They have visited Arkansas on several previous occasions.